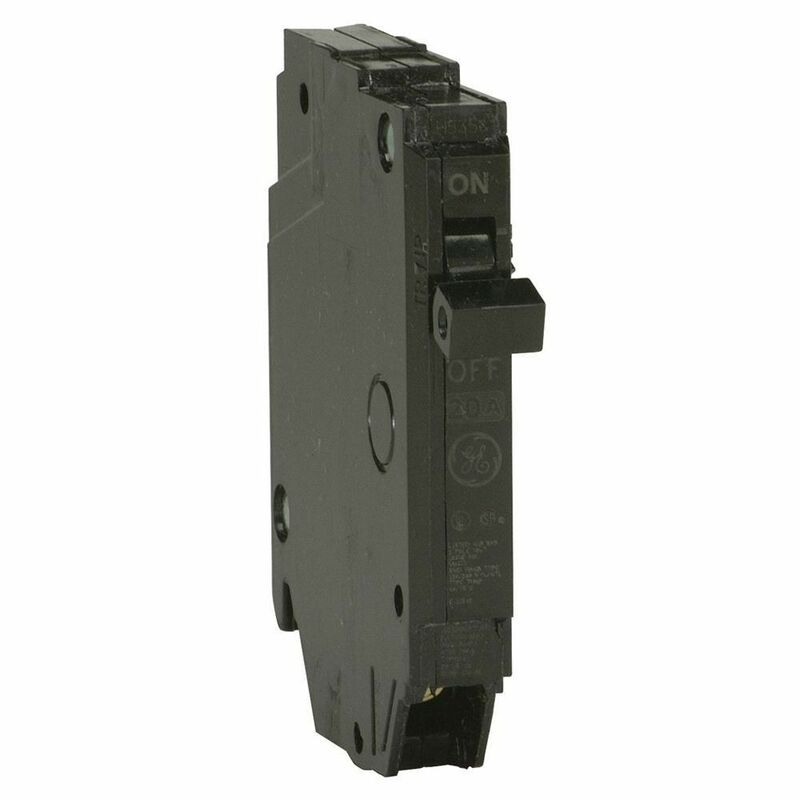 Bolt-On replacement breaker for C.E.B, Sylvania and Commander B/BC panels. 3/4" per pole, 120/240 volts AC. Beginning in 2015, the Canadian Electrical code will require the use of Combination Arc Fault Circuit Interrupters (CAFCIs) in each branch circuit in the home supplying 125V receptacles rated 20A or less (except in the kitchen/bathrooms and sump pump). The CAFCI breaker effectively stops the flow of current before an electrical fire from dangerous arcing can start. Typical causes of dangerous arc faults in a residence are: cord insulation damage from furniture, drywall screw piercing insulation, punctured cable by nail or staple. A standard feature in all HomeLine CAFCI circuit breakers is the TIME SAVER diagnostics test that assists in identifying the type of fault that last occurred in a circuit. It saves money by reducing troubleshooting time, simple to use and requires no tools. 20 Amp 1 Pole Breaker is rated 5.0 out of 5 by 16. Rated 5 out of 5 by Krista from It works great and the price was right! It works great and the price was right! Rated 5 out of 5 by Tim from Popped right in , just remember that they have to be switched to off to go down all the way and s... Popped right in , just remember that they have to be switched to off to go down all the way and sit flush.